The Atturo Az800 is an Ultra High Performance tire designed for SUV and sport truck applications. The Directional tread pattern and aggressive sidewall style demonstrate the performance engineering beneath the surface. The Atturo AZ800 is produced by Federal in Taiwan. 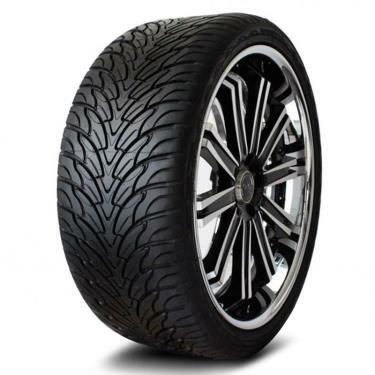 Compared to low cost no-name tires, the material, workmanship and design are far superior. We offer a 3 year warranty on material and workmanship defects. Sizes offered for both original equipment, staggered, and aftermarket fitments covering most SUV, Cross Over, and Light Truck applications. Silica-based tread compound for excellent traction and long tread life. Produced with HA-Free oils, meeting the EU REACH standard. Certified for all global markets - DOT, ECE, EU Labeling, Inmetro, GCC. Jointless tread ply technology for high speed durability. Rim guard provides protection against curb damage to custom wheels. The Atturo® AZ800 is produced in Taiwan.